Add new life to your road show with the Foldable DJ Screen from Equinox. 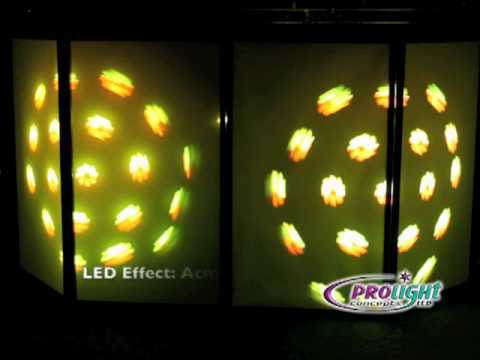 This simple low cost, yet very effective light screen allows you to create your own unique effects using a vast array of LED fixtues (fixtures not included), meaning you can create something new for any occasion. Changing the fixtures from moonflower/goboflowers to colour washes gives the user an endless amount of possibilities. The system comprises of 4 rectangular screens fitted with lycra cloths which are both compact and lightweight in design allowing for easy transportation and quick set up and take down. 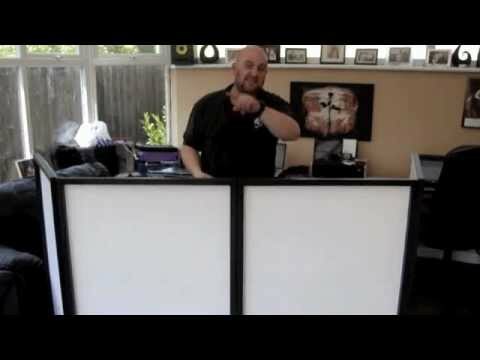 Considering purchasing the Equinox Foldable DJ Screen? Have questions? Ask people who've recently bought one. Do you own the Equinox Foldable DJ Screen? Why not write a review based on your experience with it. Easy to set up and with the light behind the screens it makes for an impressive visual set up. to start with I found them a bit unstable, but a couple of bits of gaffer on the two outer hinges and alls good. 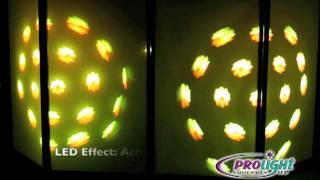 great effect with 1m battens behind, easy to set up. customers have given me really good feedback. This screen really does finish my set up nicely, i run the ledj batten behind it and it looks awesome! a must for any mobile dj, as always, djkit wins again! Great product ! Lightweight, classy and functional ( and reasonably priced too). A lightweight alternative to heavier and more expensive dj booths, and classsier than a common all garden black starcloth... looks great backlit too ! Really cheap and makes a big difference!! I use this screen for weddings and put x2 mega bars behind the screen and it makes the screen stand out, it makes your setup more professional at a low price, deffo a good purchase!! This DJ screen really makes your set up pop. Putting a laser star effect or an uplighter behind this screen works wonders. Excellent for DJ sets, really makes the set up look more pro, add some pars behind it and maybe a moonflower to really set it off. 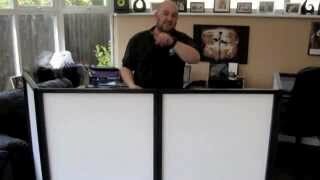 Seen a video for Equinox Foldable DJ Screen online or have you own video? You will earn 476 loyalty points with this product worth £1.19, when logged in. Check out Equinox Foldable DJ Screen on DJkit.com!